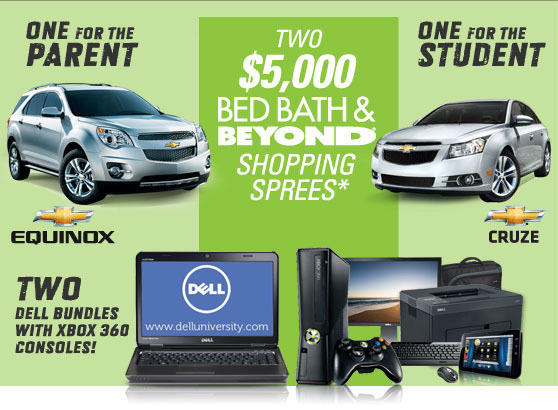 Enter to Win a New Car & More Hourly Prizes! Gear Up. Boot Up. Rev Up. Sweepstakes! Bed Bath & Beyond is giving you a chance to play TWICE EACH DAY to enter for a chance to win a prize for 2!